Great Leadership: It's Not What You Do, It's Who You ARE … so WHO Are YOU? Revealed: a Proven System for Acquiring and Developing the Qualities of THE Most Effective, Successful Leaders in the World Today. Warning: I'm about to debunk a very common misconception about leadership. If you're not ready to look at leadership in a whole new light, this probably isn't right for you. I speak at dozens of events per year. I give presentations about leadership, personal success, and business success. I love speaking at these events, because I've made it my mission to share with bright, talented people – people just like you – that success is within your grasp. Now, let's get back to the misconception I mentioned. What can I do to lead my team to success? My business isn't growing. What am I doing wrong? What did YOU do to build your business? If you could give me one piece of advice about what to do as a leader, what would it be? The fact is, these questions illustrate the misconception I mentioned earlier – and when you discover the TRUTH about it, your results as a leader (and as a person) will soar. 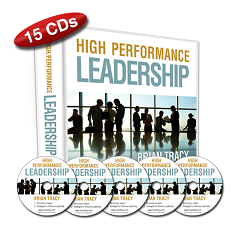 I've designed my program, "High Performance Leadership," to give you all the information and tools you need to become the absolute best leader you can. Order your copy now to get started. I've used these very same principles, techniques and ideas to start and build my multi-million-dollar, international training company – and to train others to do the same. Are you ready to order your copy of "High Performance Leadership" now and begin your journey to becoming a great leader? 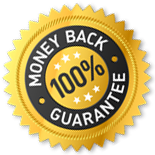 You make this investment at no risk because you're covered by my Iron-Clad, 100% Satisfaction Guarantee. That is, you have a full year to put this program to use in your life. If, within 365 days of your purchase, you don't believe it's worth the investment, return the program for a full and complete refund. If you're serious about becoming a High Performance Leader, you've got to let go of the common misconception that leadership is about what you DO. If you want to be a High Performance Leader, you've got to BECOME a High Performance Leader. Order your copy of "High Performance Leadership" today.